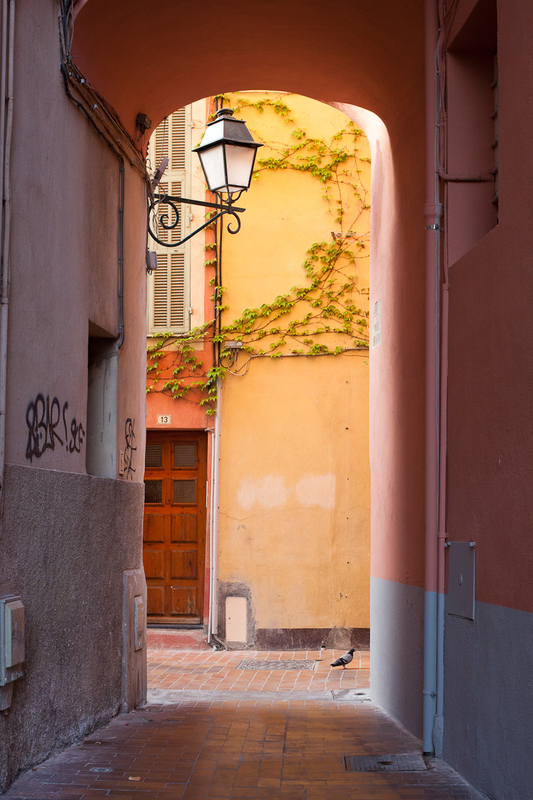 This alleyway leads to Rue des Marins where the Virginia creeper will soon be in full leaf. Cette ruelle conduit à la rue des Marins, où la vigne vierge sera bientôt en pleine feuillaison. I guess the name of Virginia creeper has crept from the Western hemisphere back to Europe. the pigeon adds the perfect punctuation to this picture. Oh, what a nice picture! I love the warm colours! At least the pigeon did not leave the graffiti on the building... love the soft lighting and muted colors.